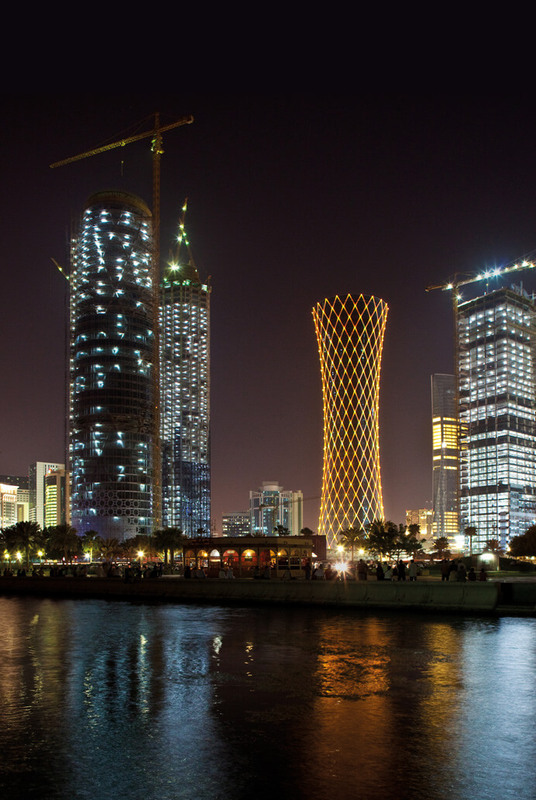 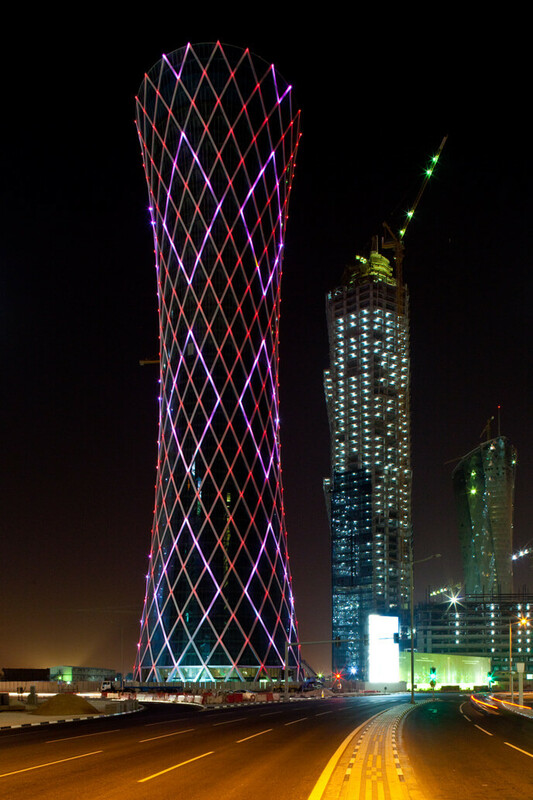 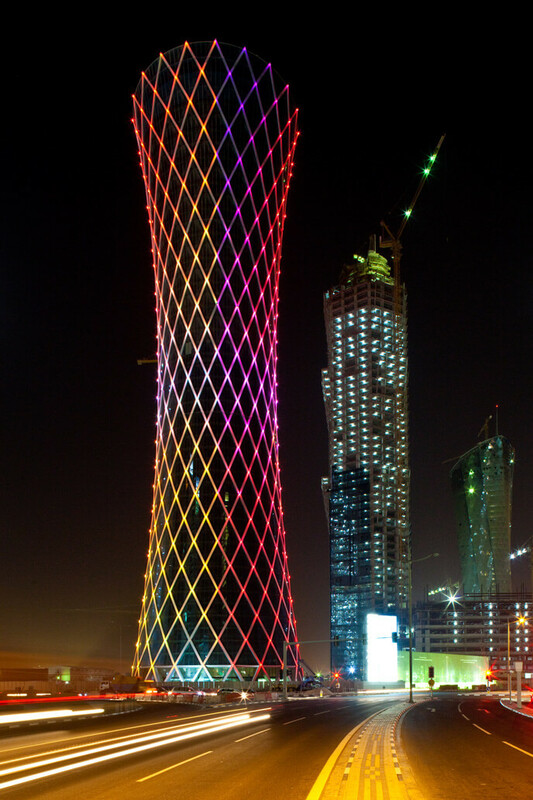 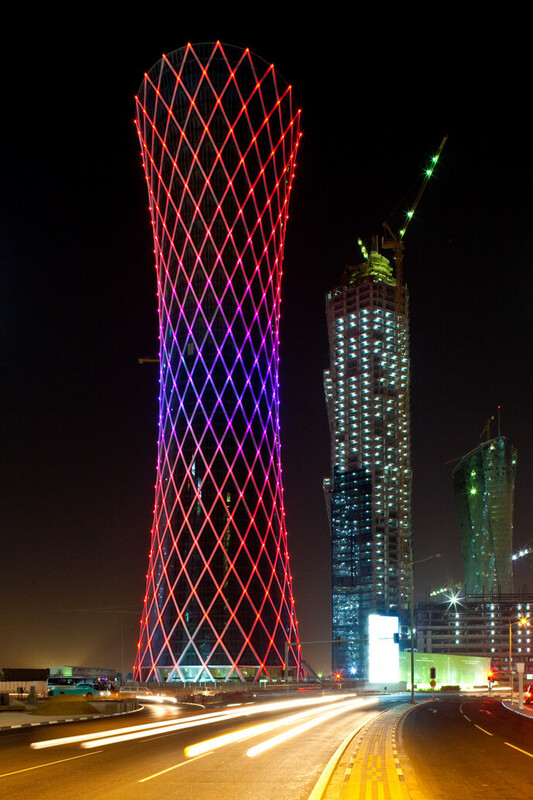 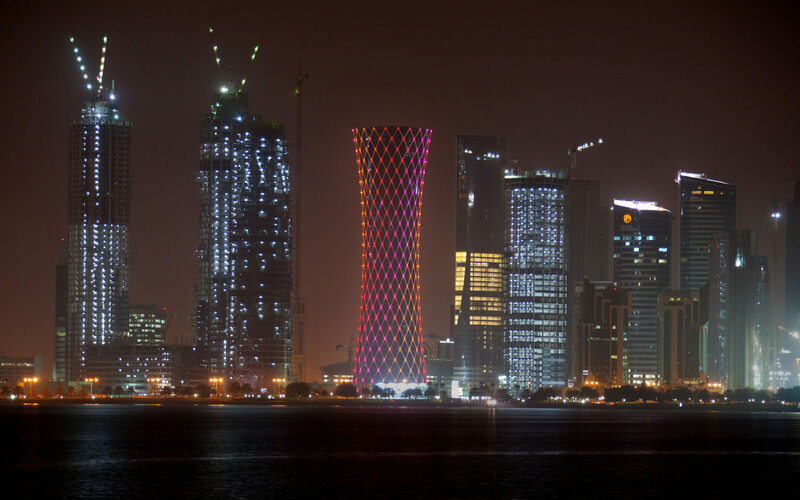 The underlying intention of the lighting concept of the Tornado Tower on the West Bay of Doha is to emphasize the diagonals of the external beams of the tower’s façade. 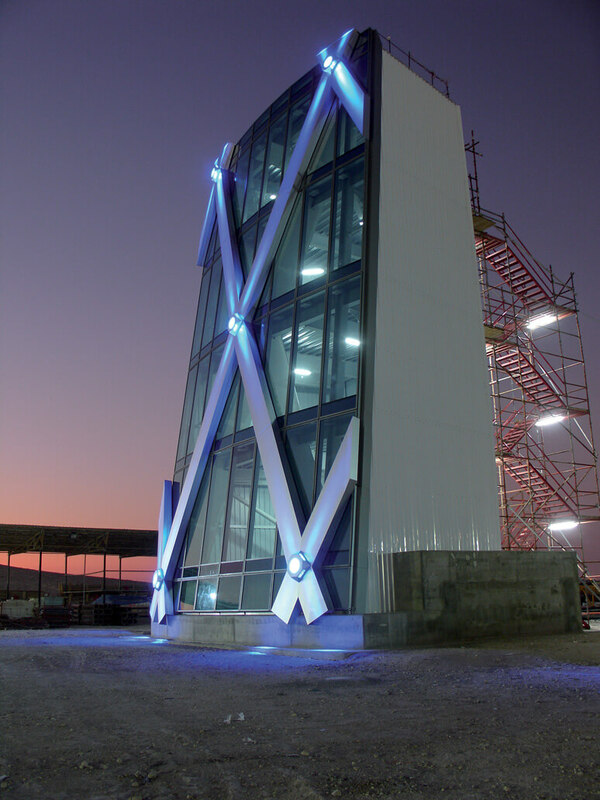 To do so, special narrow-beam lights were developed for placement at the intersection points of the façade beams. 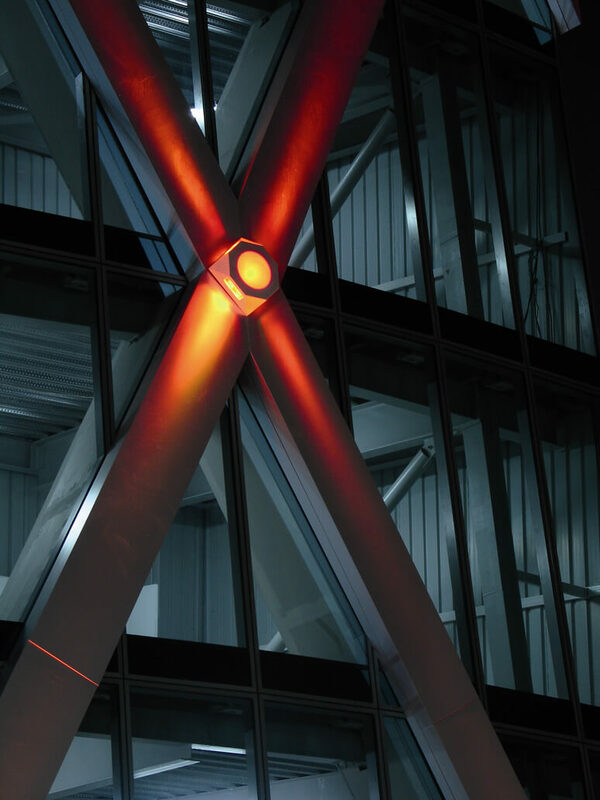 The color and brightness of the light, which shines along the beams in four directions, is controllable and orchestrated in accordance to comprehensive “lighting scores”. 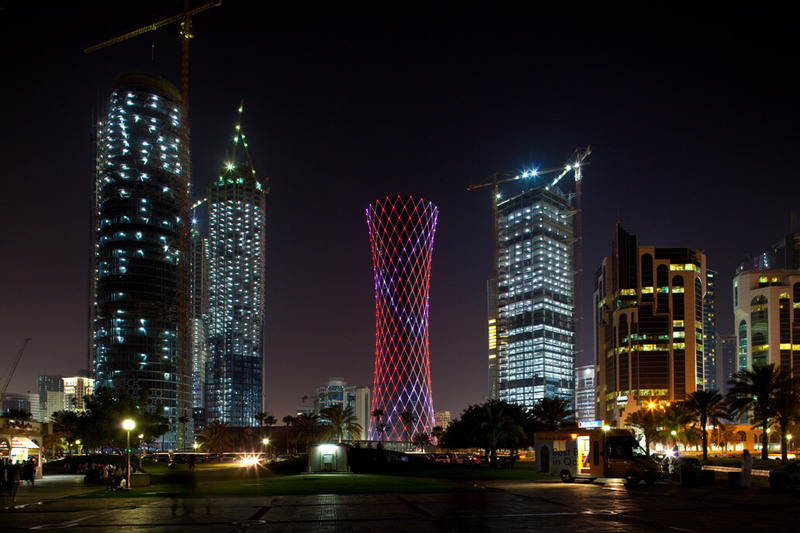 Depending on the score followed, the light can for example swirl up and around the tower, which emphasizes the dynamic appearance of the building’s form.